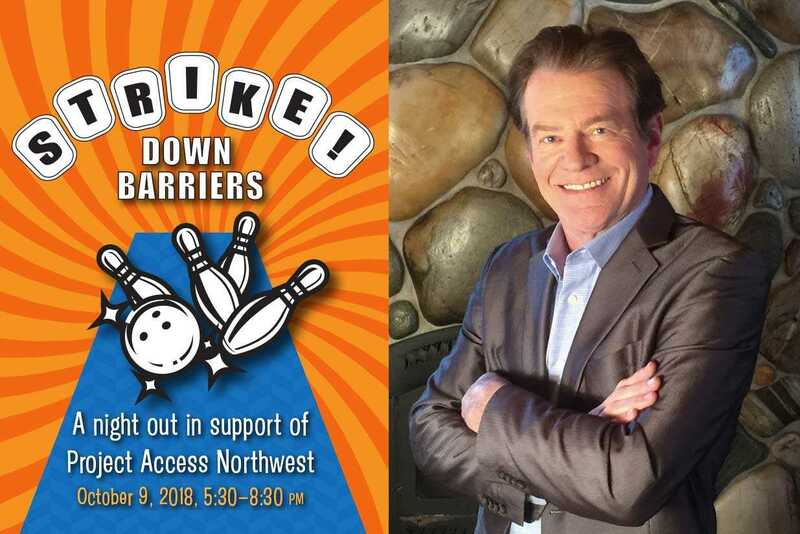 Project Access Northwest is excited to announce that Pat Cashman will be joining us as our celebrity guest emcee for our upcoming event "Strike! Down Barriers: A Night Out in Support of Project Access Northwest." Perhaps best known locally as a cast member, writer, director, producer and editor on the long-running comedy TV sketch program “Almost Live!,” Pat Cashman has enjoyed a long and successful career in both radio (KJR and KIRO) and television (KING). Today he lends his special brand of humor to special events as an emcee and keynote speaker. Stay tuned for information about this exciting event. Tickets are on sale now!